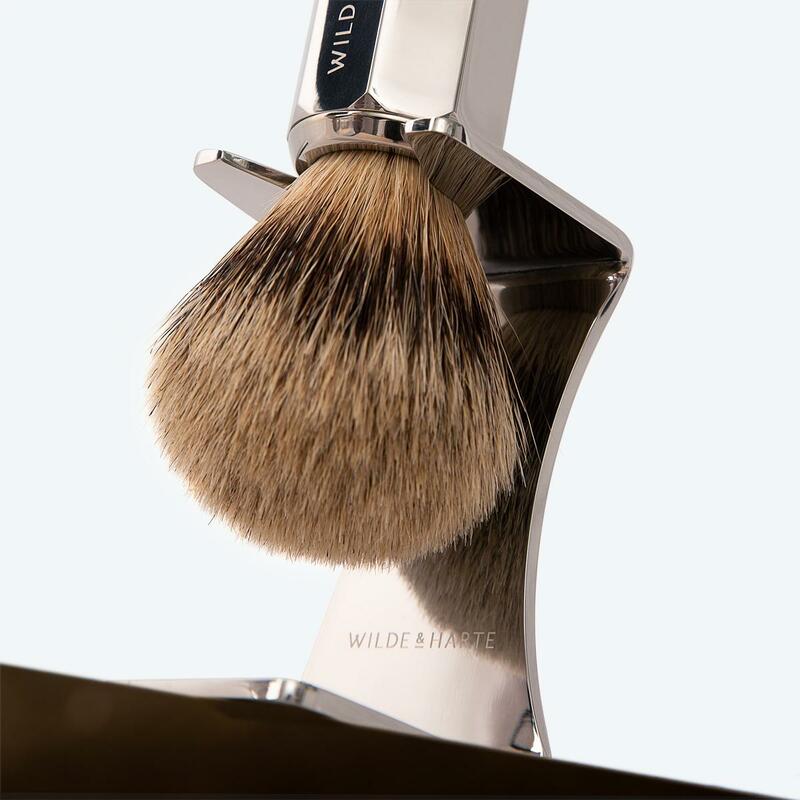 The Eltham Shaving Brush boasts impressive Art Deco detailing and is polished by hand to an impeccable mirror finish by skilled craftsmen to achieve a true 'antique' look and feel. 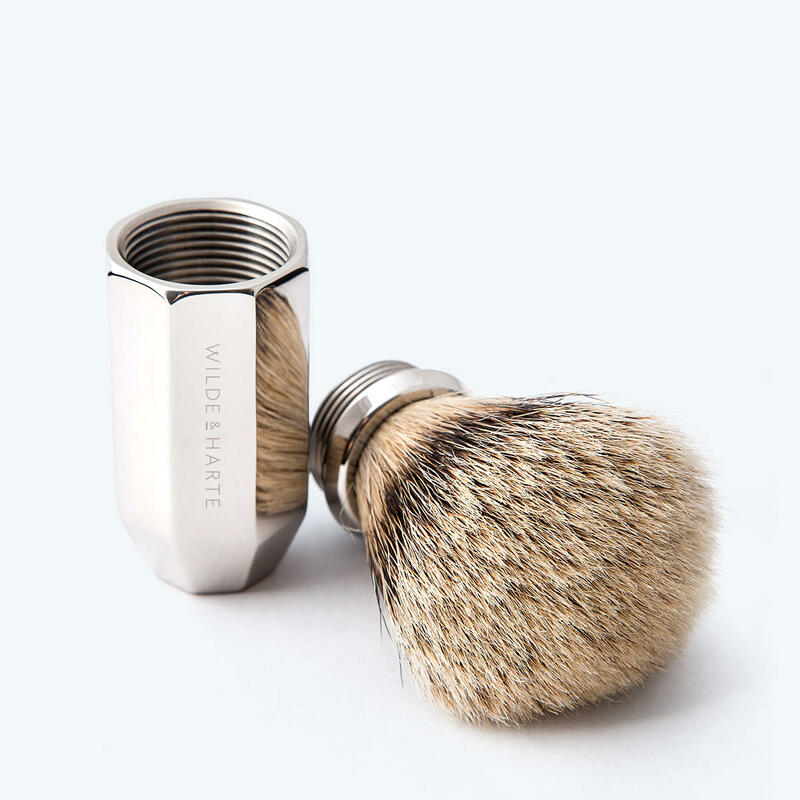 Each badger shaving brush is supplied with 'best' badger hair – a very high quality grade badger hair which creates a luxurious and creamy lather, softening the beard for the most comfortable wet shave. 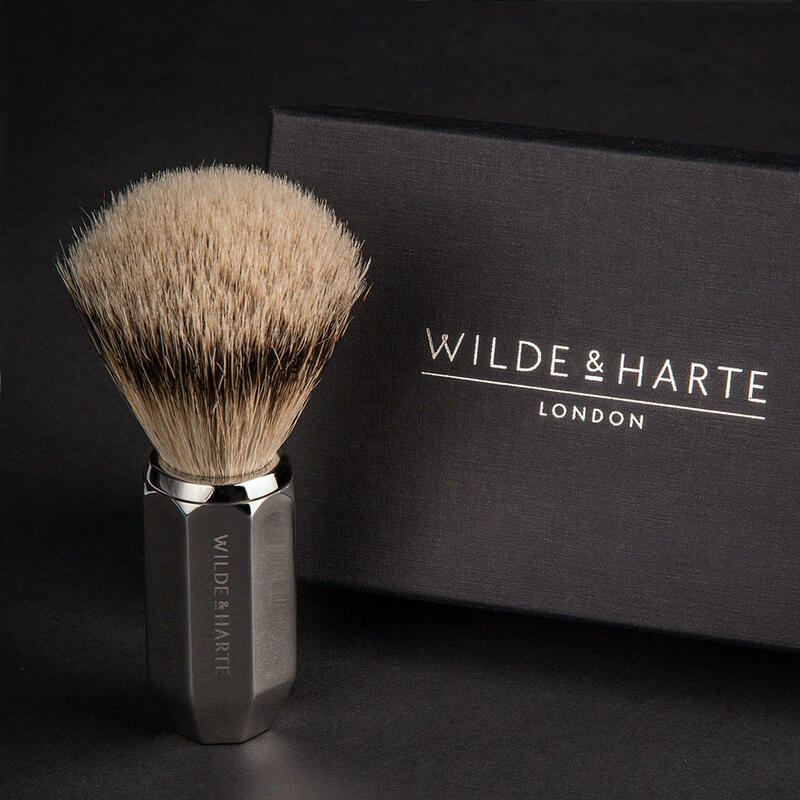 The considered weight of the shaving brush (180g) combined with the mirror finish make the Eltham Shaving Brush a desirable, tactile and extremely durable shaving accessory. 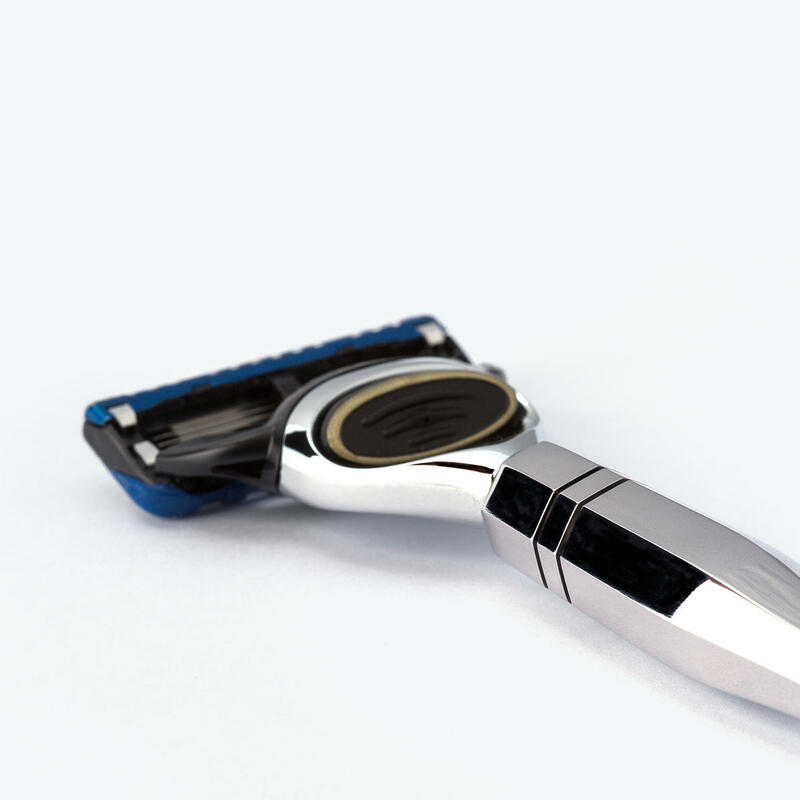 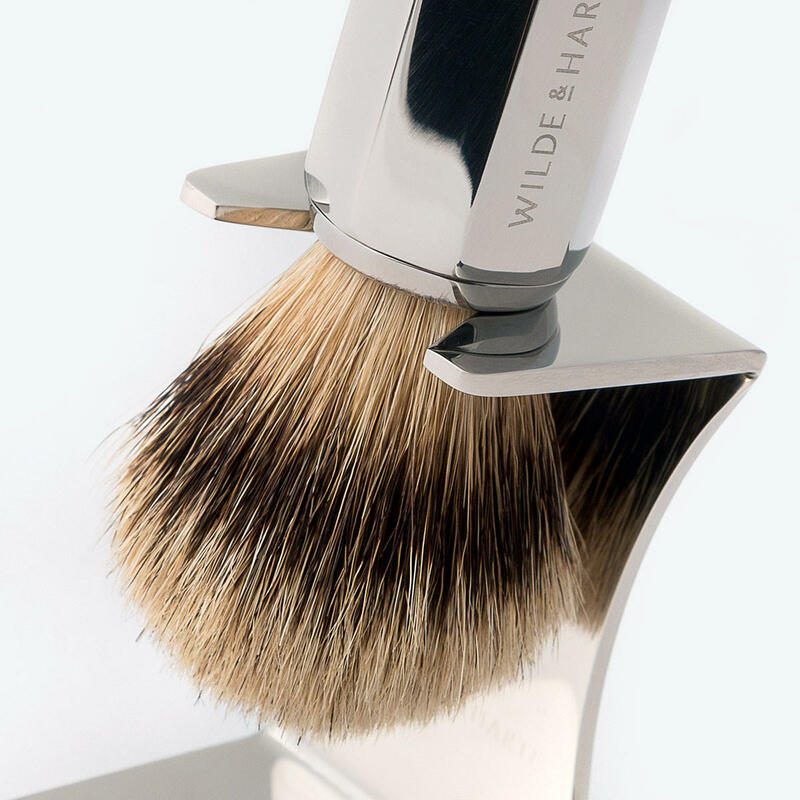 To realise the full potential from your shaving brush, after each use, your brush needs to be rinsed in warm water then hung upside down to allow all moisture to work downwards to the fibre ends, then evaporate. 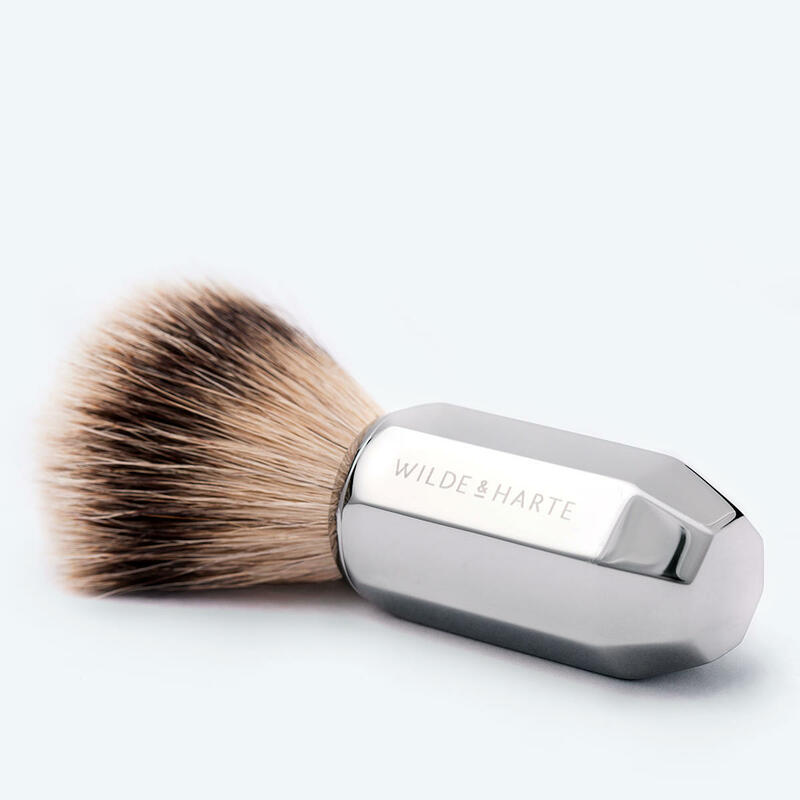 A Wilde & Harte shaving brush stand is the ideal way to store your shaving brush between shaves. 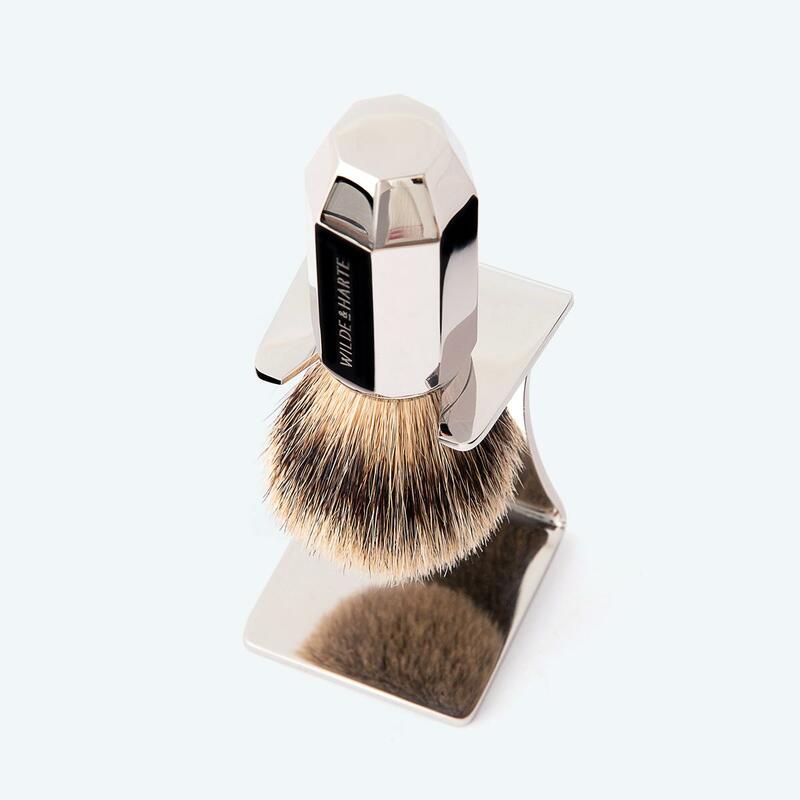 Made in the UK, each stand is manufactured from stainless steel, then engraved.